Some plants have evolved mechanisms to increase the CO2 concentration in their leaves under hot and dry conditions. The process of photosynthesis in desert plants has evolved mechanisms to conserve water. Plants that use crassulacean acid metabolism (CAM) photosynthesis fix CO2 at night, when their stomata are open. Plants that use C4 carbon fixation concentrate carbon dioxide spatially, using “bundle sheath cells” which are inundated with CO2. crassulacean acid metabolism: A carbon fixation pathway that evolved in some plants as an adaptation to arid conditions, in which the stomata in the leaves remain shut during the day to reduce evapotranspiration, but open at night to collect carbon dioxide (CO2). Photosynthesis in desert plants has evolved adaptations that conserve water. In harsh, dry heat, every drop of water must be used to survive. Because stomata must open to allow for the uptake of CO2, water escapes from the leaf during active photosynthesis. Desert plants have evolved processes to conserve water and deal with harsh conditions. A more efficient use of CO2 allows plants to adapt to living with less water. Some plants such as cacti can prepare materials for photosynthesis during the night by a temporary carbon fixation and storage process, because opening the stomata at this time conserves water due to cooler temperatures. In addition, cacti have evolved the ability to carry out low levels of photosynthesis without opening stomata at all, a mechanism for surviving extremely dry periods. Cactus: The harsh conditions of the desert have led plants like these cacti to evolve variations of the light-independent reactions of photosynthesis. These variations increase the efficiency of water usage, helping to conserve water and energy. phosphoenolpyruvate (PEP) carboxylase to capture carbon dioxide in a process called crassulacean acid metabolism (CAM). In contrast to C4 metabolism, which physically separates the CO2 fixation to PEP from the Calvin cycle, CAM temporally separates these two processes. CAM plants have a different leaf anatomy from C3 plants, and fix the CO2 at night, when their stomata are open. CAM plants store the CO2 mostly in the form of malic acid via carboxylation of phosphoenolpyruvate to oxaloacetate, which is then reduced to malate. Decarboxylation of malate during the day releases CO2 inside the leaves, thus allowing carbon fixation to 3-phosphoglycerate by RuBisCO. Sixteen thousand species of plants use CAM. Cross section of agave, a CAM plant: Cross section of a CAM (crassulacean acid metabolism) plant, specifically of an agave leaf. Vascular bundles shown. Drawing based on microscopic images courtesy of Cambridge University Plant Sciences Department. The C4 pathway bears resemblance to CAM; both act to concentrate CO2 around RuBisCO, thereby increasing its efficiency. CAM concentrates it temporally, providing CO2 during the day and not at night, when respiration is the dominant reaction. C4 plants, in contrast, concentrate CO2 spatially, with a RuBisCO reaction centre in a “bundle sheath cell” that is inundated with CO2. Due to the inactivity required by the CAM mechanism, C4 carbon fixation has a greater efficiency in terms of PGA synthesis. Cross section of a C4 plant, specifically of a maize leaf. Drawing based on microscopic images courtesy of Cambridge University Plant Sciences Department. C4 plants can produce more sugar than C3 plants in conditions of high light and temperature. Many important crop plants are C4 plants, including maize, sorghum, sugarcane, and millet. Plants that do not use PEP-carboxylase in carbon fixation are called C3 plants because the primary carboxylation reaction, catalyzed by RuBisCO, produces the three-carbon 3-phosphoglyceric acids directly in the Calvin-Benson cycle. Over 90% of plants use C3 carbon fixation, compared to 3% that use C4 carbon fixation; however, the evolution of C4 in over 60 plant lineages makes it a striking example of convergent evolution. The Calvin cycle is organized into three basic stages: fixation, reduction, and regeneration. The Calvin cycle refers to the light-independent reactions in photosynthesis that take place in three key steps. 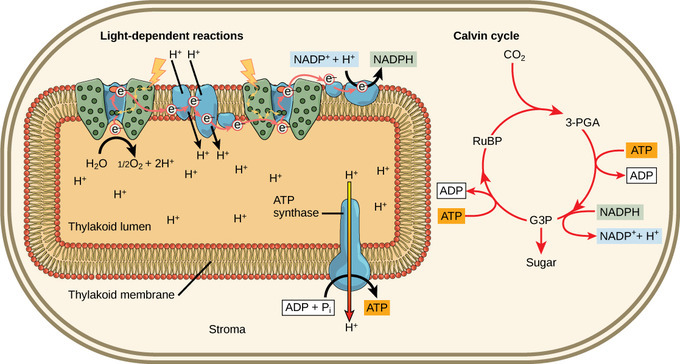 Although the Calvin Cycle is not directly dependent on light, it is indirectly dependent on light since the necessary energy carriers ( ATP and NADPH) are products of light-dependent reactions. In fixation, the first stage of the Calvin cycle, light-independent reactions are initiated; CO2 is fixed from an inorganic to an organic molecule. In the second stage, ATP and NADPH are used to reduce 3-PGA into G3P; then ATP and NADPH are converted to ADP and NADP+, respectively. 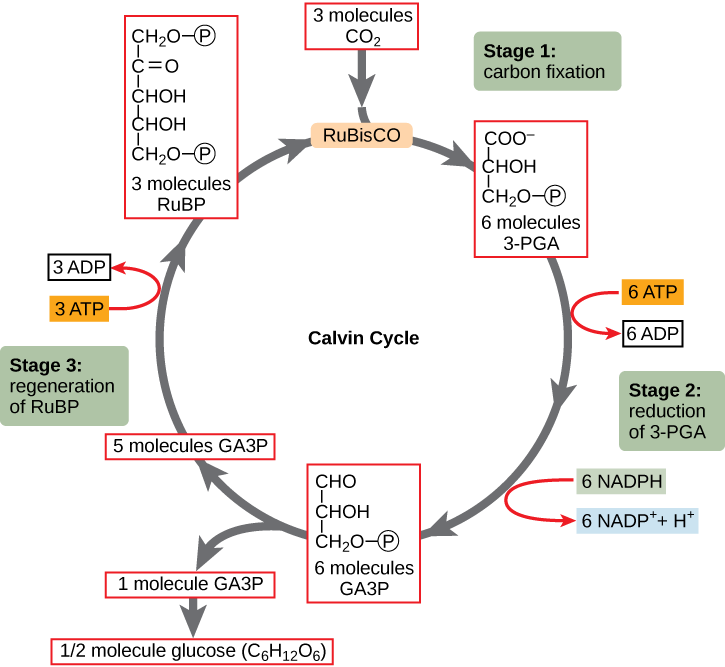 In the last stage of the Calvin Cycle, RuBP is regenerated, which enables the system to prepare for more CO2 to be fixed. In plants, carbon dioxide (CO2) enters the leaves through stomata, where it diffuses over short distances through intercellular spaces until it reaches the mesophyll cells. Once in the mesophyll cells, CO2 diffuses into the stroma of the chloroplast, the site of light-independent reactions of photosynthesis. These reactions actually have several names associated with them. Other names for light-independent reactions include the Calvin cycle, the Calvin-Benson cycle, and dark reactions. The most outdated name is dark reactions, which can be misleading because it implies incorrectly that the reaction only occurs at night or is independent of light, which is why most scientists and instructors no longer use it. Light Reactions: Light-dependent reactions harness energy from the sun to produce chemical bonds, ATP, and NADPH. These energy-carrying molecules are made in the stroma where the Calvin cycle takes place. The Calvin cycle is not totally independent of light since it relies on ATP and NADH, which are products of the light-dependent reactions. The light-independent reactions of the Calvin cycle can be organized into three basic stages: fixation, reduction, and regeneration. In the stroma, in addition to CO2,two other components are present to initiate the light-independent reactions: an enzyme called ribulose bisphosphate carboxylase (RuBisCO) and three molecules of ribulose bisphosphate (RuBP). RuBP has five atoms of carbon, flanked by two phosphates. RuBisCO catalyzes a reaction between CO2 and RuBP. For each CO2 molecule that reacts with one RuBP, two molecules of 3-phosphoglyceric acid (3-PGA) form. 3-PGA has three carbons and one phosphate. Each turn of the cycle involves only one RuBP and one carbon dioxide and forms two molecules of 3-PGA. The number of carbon atoms remains the same, as the atoms move to form new bonds during the reactions (3 atoms from 3CO2 + 15 atoms from 3RuBP = 18 atoms in 3 atoms of 3-PGA). This process is called carbon fixation because CO2 is “fixed” from an inorganic form into organic molecules. The Calvin Cycle: The Calvin cycle has three stages. In stage 1, the enzyme RuBisCO incorporates carbon dioxide into an organic molecule, 3-PGA. In stage 2, the organic molecule is reduced using electrons supplied by NADPH. 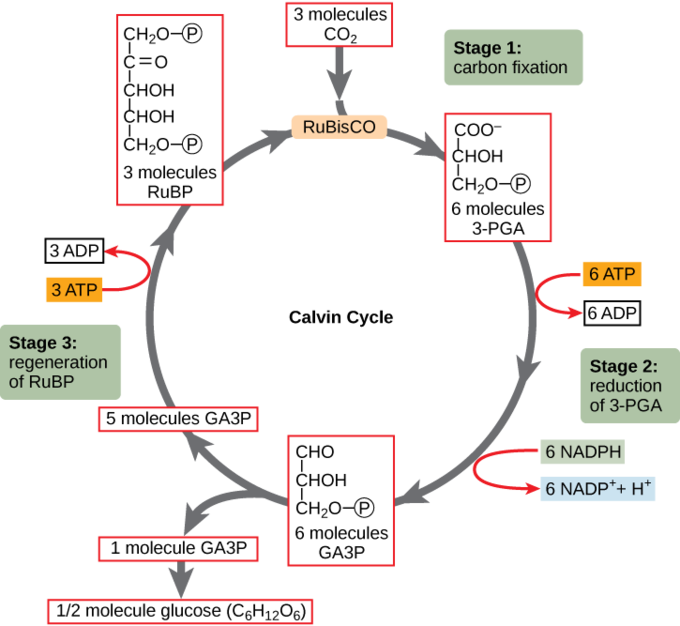 In stage 3, RuBP, the molecule that starts the cycle, is regenerated so that the cycle can continue. Only one carbon dioxide molecule is incorporated at a time, so the cycle must be completed three times to produce a single three-carbon GA3P molecule, and six times to produce a six-carbon glucose molecule. ATP and NADPH are used to convert the six molecules of 3-PGA into six molecules of a chemical called glyceraldehyde 3-phosphate (G3P). This is a reduction reaction because it involves the gain of electrons by 3-PGA. Recall that a reduction is the gain of an electron by an atom or molecule. Six molecules of both ATP and NADPH are used. For ATP, energy is released with the loss of the terminal phosphate atom, converting it to ADP; for NADPH, both energy and a hydrogen atom are lost, converting it into NADP+. Both of these molecules return to the nearby light-dependent reactions to be reused and reenergized. At this point, only one of the G3P molecules leaves the Calvin cycle and is sent to the cytoplasm to contribute to the formation of other compounds needed by the plant. Because the G3P exported from the chloroplast has three carbon atoms, it takes three “turns” of the Calvin cycle to fix enough net carbon to export one G3P. But each turn makes two G3Ps, thus three turns make six G3Ps. One is exported while the remaining five G3P molecules remain in the cycle and are used to regenerate RuBP, which enables the system to prepare for more CO2 to be fixed. Three more molecules of ATP are used in these regeneration reactions. All organisms need energy to perform life functions, and energy that is released is reused in other ways. Every single atom of energy is conserved by changing form or moving from one type of energy to another, so waste does not exist in nature. Photosynthesis absorbs light energy to build carbohydrates, and aerobic cellular respiration releases energy by using oxygen to metabolize carbohydrates. Photosynthesis consumes carbon dioxide and produces oxygen, and aerobic respiration consumes oxygen and produces carbon dioxide. Both photosynthesis and cellular respiration use electron transport chains to capture the energy necessary to drive other reactions. Photosynthesis and Aerobic Respiration: Photosynthesis consumes carbon dioxide and produces oxygen. Aerobic respiration consumes oxygen and produces carbon dioxide. 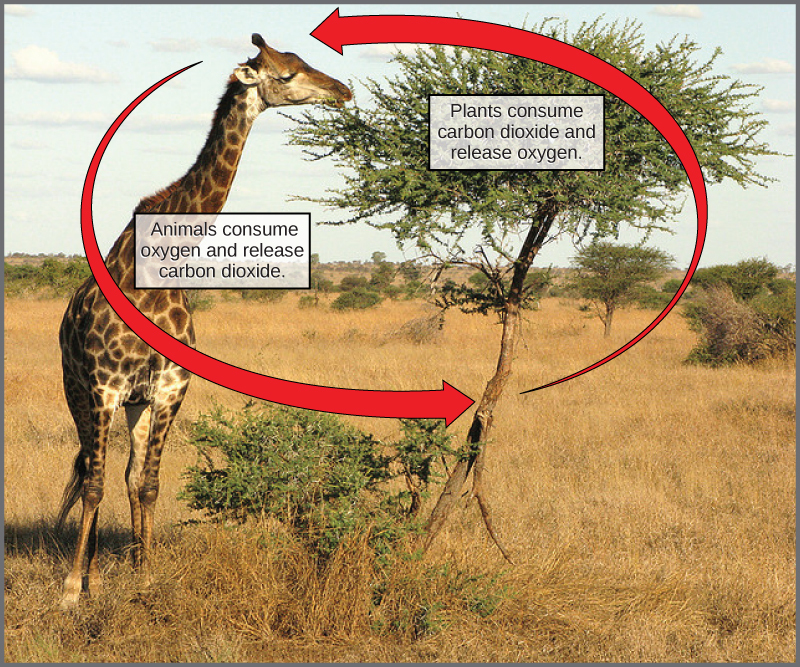 These two processes play an important role in the carbon cycle. Whether the organism is a bacterium, plant, or animal, all living things access energy by breaking down carbohydrate molecules. But if plants make carbohydrate molecules, why would they need to break them down, especially when it has been shown that the gas organisms release as a “waste product” (CO2) acts as a substrate for the formation of more food in photosynthesis? Living things need energy to perform life functions. 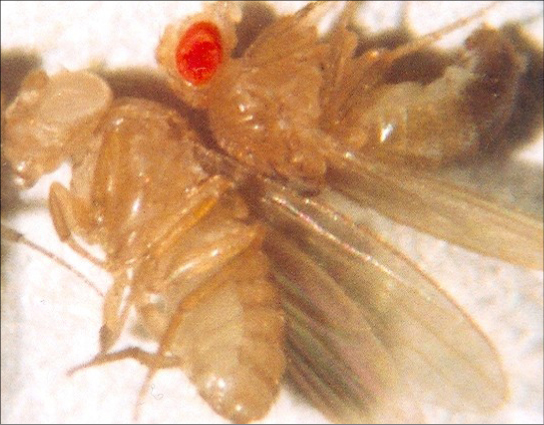 In addition, an organism can either make its own food or eat another organism; either way, the food still needs to be broken down. Finally, in the process of breaking down food, called cellular respiration, heterotrophs release needed energy and produce “waste” in the form of CO2 gas. In nature, there is no such thing as waste. Every single atom of matter and energy is conserved, recycling over and over, infinitely. Substances change form or move from one type of molecule to another, but their constituent atoms never disappear. CO2 is no more a form of waste than oxygen is wasteful to photosynthesis. Both are byproducts of reactions that move on to other reactions. Photosynthesis absorbs light energy to build carbohydrates in chloroplasts, and aerobic cellular respiration releases energy by using oxygen to metabolize carbohydrates in the cytoplasm and mitochondria. Photosynthesis consumes carbon dioxide and produces oxygen. Aerobic respiration consumes oxygen and produces carbon dioxide. Both processes use electron transport chains to capture the energy necessary to drive other reactions. These two powerhouse processes, photosynthesis and cellular respiration, function in biological, cyclical harmony to allow organisms to access life-sustaining energy that originates millions of miles away in the sun.